I can't with Birks. I mean, I love them, but I fully admit they're kind of fugz. I don't wear them trying to be cute. When people wear them trying to be cute it drives me bananas. Oh yes, it's a comfort thing, not to be hip! I live in 2 pairs of flip-flops in summer. I'm thinking I need to add some rotation! 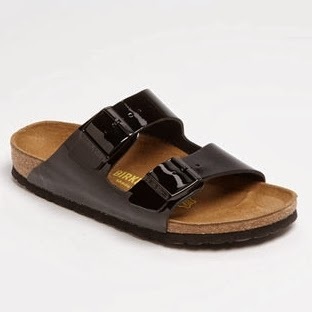 I love my Birkenstocks--I have the Gizeh style. I agree, only with the right outfit! I'm in the LOVE category & am so thankful that I have held on to my pair from those granola college days of yore!